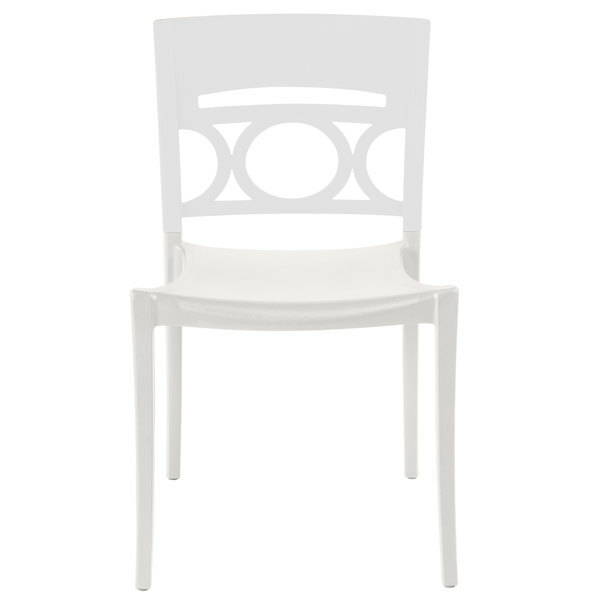 Dress up your enclosed porch or outdoor patio seating with this Grosfillex Moon indoor/outdoor stacking chair! 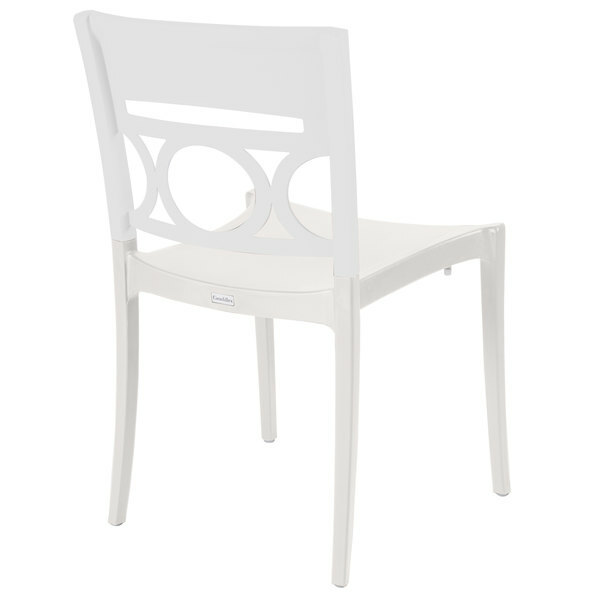 This chair comes with a cheerful glacier white back and a linen-colored seat, a great combination for brightening up your dining area. 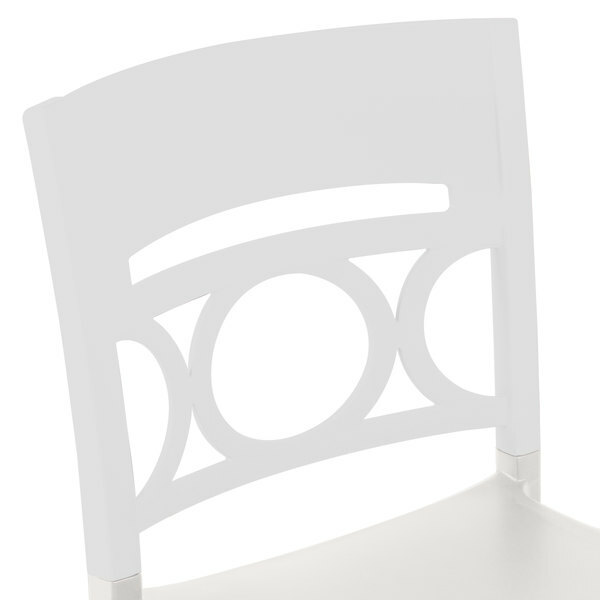 With its modern, up-to-date design, this chair is sure to complement your decor. 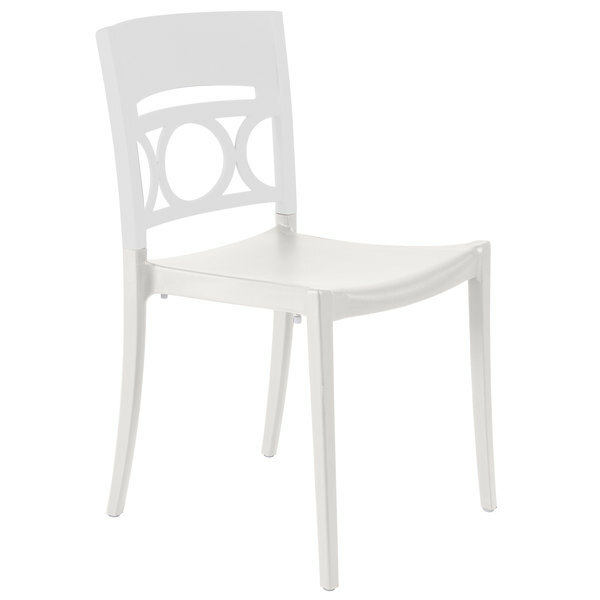 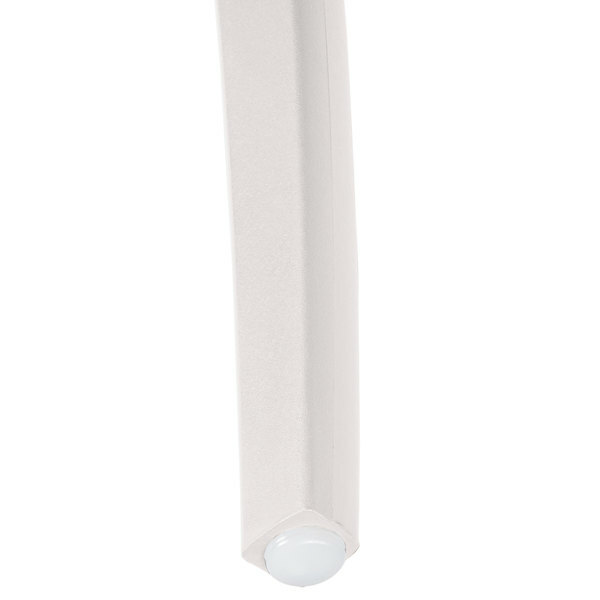 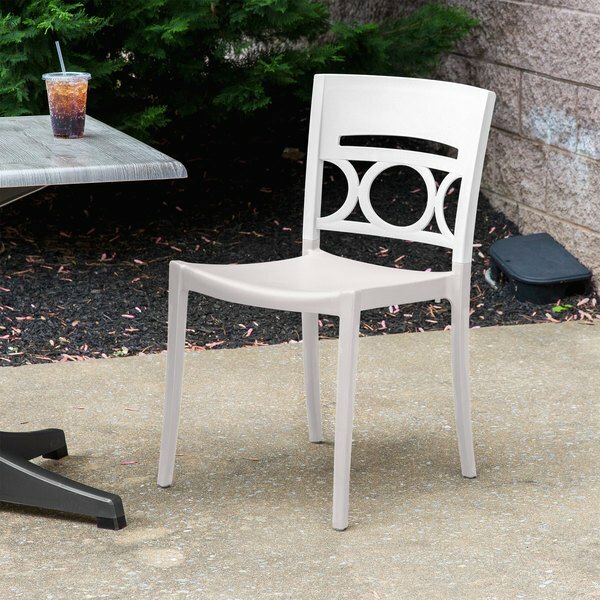 Made to hold up to 300 lb., with a durable polypropylene seat and sturdy polycarbonate back, this chair is strong enough to stand up to the daily use it will see in your commercial foodservice establishment. 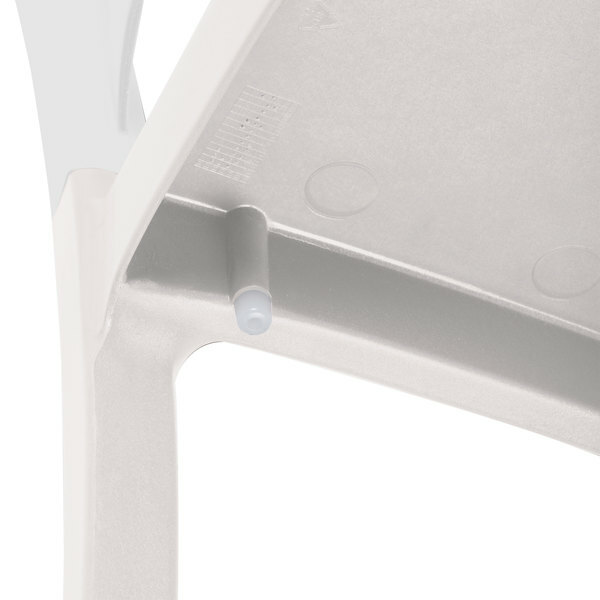 Great for use both indoors and out, this chair is UV and weather-resistant so that it will maintain its color and function for years to come. 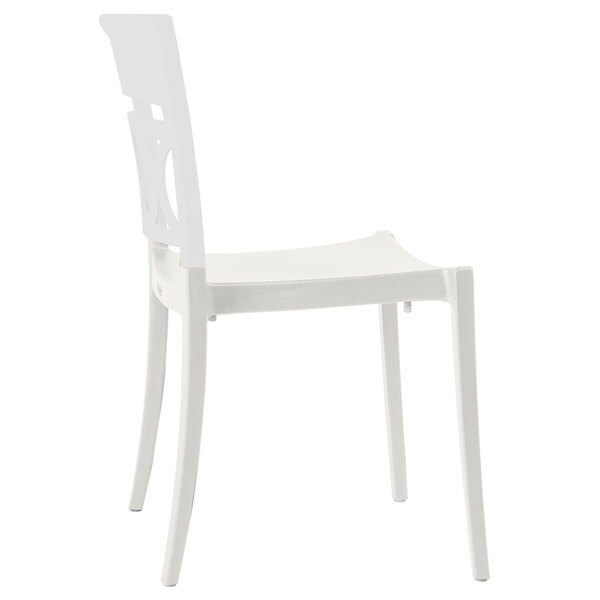 Plus, this chair is stackable for space-saving storage in the off-season or whenever you need to clear the floor for cleaning! 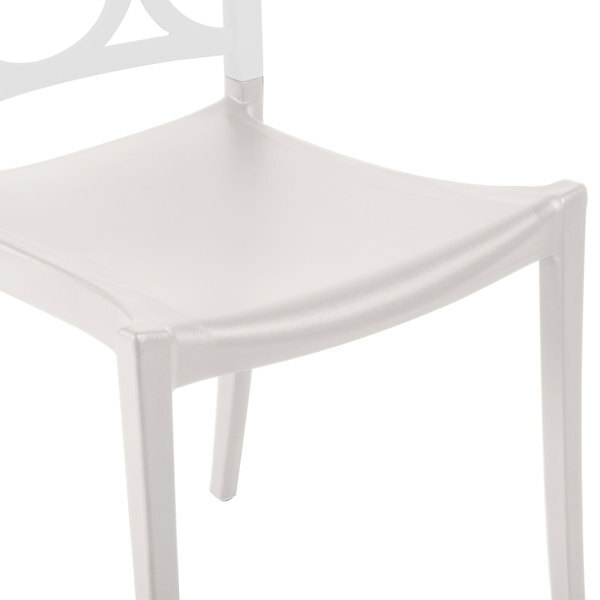 These chairs may also be power washed for easy maintenance.